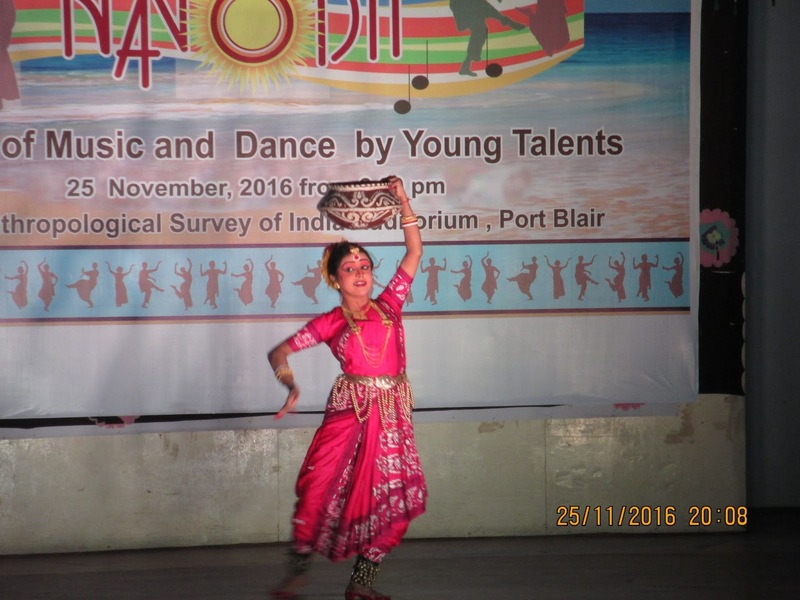 #Dance #DancingGirl, why they named it as #Indus Dance Girl? of #Harappa #IndusValley #civilization? Many of us must be aware of this figure, nick named as Dancing girl of Harappa/Mohenjo-daro, found in 2500 BC old Indus River valley civilization. Indus river is know as Sindhu River in India. It has become world famous idol. People are researching over iconography etc things on this. But For me, I was amazed, why the name “dancing girl” is given to it? How can historian/ archaeologist can name her as a dancing girl? She could have been any authoritarian figure? Priestess? or any sacrificial woman? Or simply a dream girl (muse) of an artist? Why not? But assigning this name in itself tells the attitude of society at large towards the word “dancing girl”. It is very easy to write “dancing girl”? Is there anything such as Her ornaments, posture? hair plait? necklace? eyes? or any thing that can indicate her being a dancing girl? i Don’t think so? This statue is from thousands of years old civilization? it is in Bronze? a difficult metal craft? and that too there was no Industrial revolution (as of UK) or #3D printer, not even elctricity for grill machine or tools? All there was traditional knowledge, hard work, enthusiasm and observing power of eyes? or even we can say power to imagine? People in Europe once upon a time imagined that earth is flat and if you walk accross a certian point you will fall down. That was imagination power? If this statue is not observation then how one can imagine such thing? A Dream Girl? can we say? It is still unknown as to what purpose this bronze statue served? But it is certainly amazing that how this craft of using metals came to Indus valley civilization? It was done in lost wax technic as we know today? It is an example of Art of metallurgy prevalent in Indus River Valley civilization. It’s not a dancing pose, it’s a standing pose. Even, sometime we stand like this, placing hand on waist. This statue was discovered in 1926 by a British serving officer (obviously) in colonial India. Now pakistan disputes it, I don’t understand why pakistan disputes it? earlier in that part of world everything Indian was destructed by the invaders from West Asia, and now after partition a newly born country claims to be owner of 3000 BC civilization. This itself indicates what they wanted to loot? What they are teaching in History books of Pakistan?- that Indus valley civilization grew and became Pakistan? Lost wax method was used in Chola period also to make amazing beautifull Bronze statues. But for using that technic in Indus Valley there must have been some previous references? some education? knowledge transfer? passed on to generation to generation? it is not that suddenly one day, a man created bronze statue by using lost wax technic? it requires lots of things, planning execution. when wax is lost (melts away) the impression on the metal becomes visible and look artistic. isn’t it? At first a statue is created out of wax then covered by clay or mud, dried and then molten metal is filled inside, so that melted wax runs out from other end. She can be any one? even a queen? or consort? any diety? why not? she can be even a gaurd/fighter? waiting to get her spear? or arrows ready from back, or something hidden at back? in olden times women gaurds were kept to protect princes queens or royal ladies and even for kings also? but in that time British officers were mostly amazed by the Nautch girls, dancing girls, tawaif or Devdasi traditions in India. Thus when someone in British Office/Archeologist? saw it, he immediatley imagined the dance pose of dancing girls that he had in mind imprinted so vividly that as soon as he saw this he named it dancing girl? from wiki: This discovery indicates that they (indus civilization) knew metal blending, casting and other sophisticated methods. The bronze girl was made using the lost-wax casting technique and shows the expertise of the people in making bronze works during that time. The statue is displayed at National Museum, New Delhi. A similar bronze statuette was found by Mackay during his final full season of 1930–31 at DK-G area in a house at Mohenjo-daro. The preservation, as well as quality of craftsmanship, is inferior to that of the well known Dancing Girl. This second bronze female figure is displayed at Karachi Museum, Pakistan. An engraving on a piece of red potsherd, discovered at Bhirrana, India, a Harappan site in Fatehabad district in Haryana, shows an image that is evocative of Dancing Girl. The excavation team leader, L. S. Rao, Superintending Archaeologist, Excavation Branch, ASI, remarked that, “… the delineation [of the lines in the potsherd] is so true to the stance, including the disposition of the hands, of the bronze that it appears that the craftsman of Bhirrana had first-hand knowledge of the former”. But I still Don’t agree with their Assumption? that her profession was dance? How they can presume? For Shri Ram at Aydohya few people are asking for a proof? here they are naming her as dancing girl without any proof? I think mystery of Harappa civilization can only be solved by deciphering the SCRIPT? So after reading all that is written in that script can tell something about lost civilization. But Pakistan cannot claim that it is their heritage? Many miniature paintings also depicts lot of interesting things about these dancing girls of India. Which are often referred as Tawaif, courtesan, nachini, domni, Kothewali, Derewali etc names aplenty but they have been at centre of life of any city, court/Mehfil or folklore. When British came to India they became Gora Sahebs. Few gora sahebs started imitating mannerism of mughal or nawabs. The dancing girls were the most evident in painting of that era. Also these gora sahebs were fascinated by these charming ladies. Gora Sahebs also patronized paintings. These painting are called as Raj or Company school paintings. Dancing girls, Ganika, NagarVadhu, Apsara concept has been in folk lore and mythology also. But when it became an ill famed custom we dont know? Shakuntala was daughter of an Apsara, but she was a daughter of a Sage at first? Sage was solely responsible for birth of Shakuntala. But some how his name is not written in black color? only the characters of Apsara is much talked about? Irony? I tried to search pictures on dancing girl? obviously through Google. This pic must be from South India? the dhoti adorned by men is may be from Andhra, Karnataka or Maharashtra? Girls adorning the dress looks similar to worn by Sadir natyam or dassi natyam? please note one thing in this pic that these girls are of very young age? Beautifull Girl in this pic is again of a tender age? forced to dance? accompanying artists belong to a community? 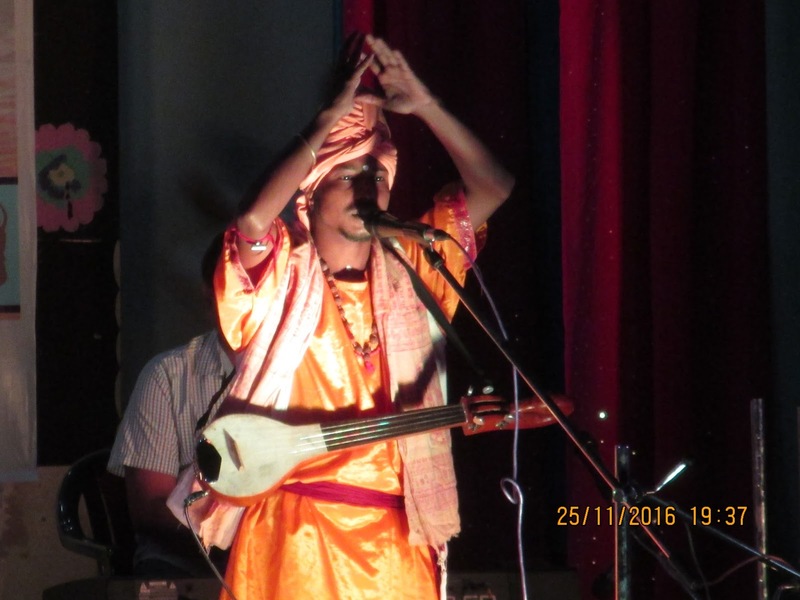 Tabla, the percussion instrument and sarangi are the accompanying musical instruments. This is probably of Mughal influenced era. Below is another beautifull photo of a dance girl from Lucknow? See all beautifull things around her. Richly designed ornament/ jwellery and pure Gold or silver (not at all imitation) The curtains, the cushions, the mattress, the fashion? yes they were the fashion icons of those times. They make new styles of dress, specially custom made and wearing them they make it into fashion statements. As I understand they (these women) were actually master entrepreneurs, as they supported or patronised many crafts. the dress designing, Textile weaving, tailoring, coloring of textiles, Jwellers, artists- painters, and all those trades which had these women as their clients? Dancers/Singers some where in Rajasthan, Gujarat? Ancient Indian sculptures also depicted few of such fine example of good art. The ornaments bangles, ear rings, necklace, waist plate and rings in leg all are extremely intricately designed. Figurine, hair style and her skirt are all evident. There are few other good examples of beautifull sculptures of Ancient India. These are the most beautifull and umatched in world? Best poetic sculptures are found in Hoyasala, Belur etc in Karnataka. But still i can say there are thousands of such in South India. These incredible statues carved in stone many centuries ago? No one can deny the hard work patience of artist or craft persons. 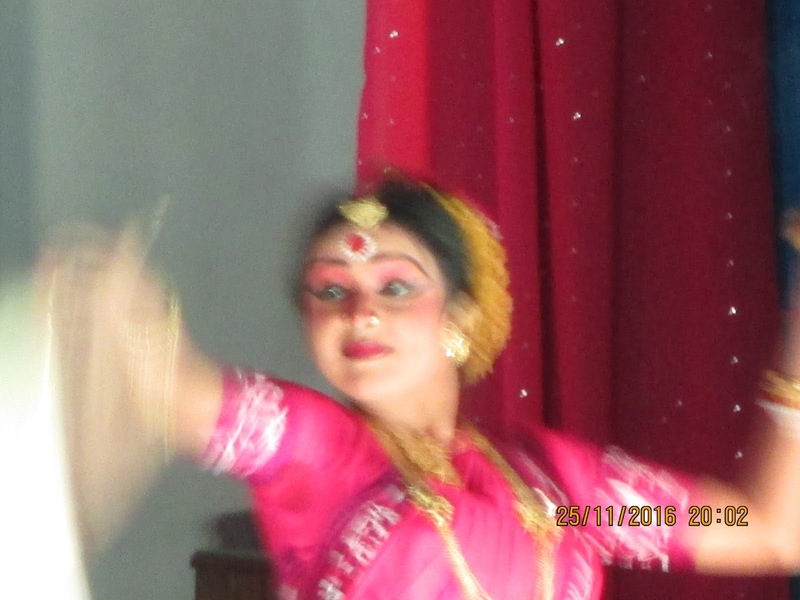 I have put these pics here just to show the dance in our arts. Compared to that statue found in Harappa. Can you say that statue was of a dance girl? I think in India our artists knew how to depict dance movements. Presumption is done by those not belonging to this land. Their assumption is made out to be a fact? That’s is wrong. nigodi……as is done in this sculpture on left. Ajanta Ellora caves, Elephanta caves, Belur, Hoyasala, Mahabalipuram, Konark, Khajuraho, Kiradu, Dilwara and whole of Rajasthan. The book by Pran Nevile describes in detail about the dance girls in colonical India. 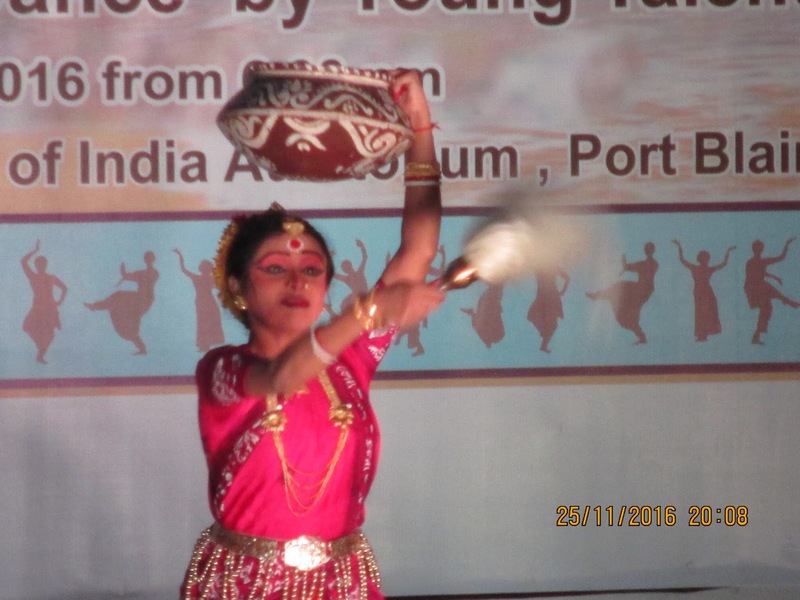 System of nautch girls or dance girls was prevalent in this world from time immemorial. It was there in Kabul, Gandhar, Afghanistan, Kashmir & upto Kanyakumari in South India. Nomenclature differed, from Tawaif to Devdasi. In the said book there is a description that a dance girl kept whirling and keeping eggs on this loops tied with strings, he referred it as egg dance? not a single egg was broken. These dancing girls were most innovative also. As is evident from dress they wore. Indian films also had a hand in mystifying the dance girls. In many movies they are shown in some extra ordinary manner. I mean they are shown not in Authentic manner. Very few films had these dance girls in correct perspective. I was in awe of Pakeezah, Umrao Jaan (Rekha ji) and this Chitralekha mostly due to my love for Meena Kumari ji. Bela Bose and Meena Kumari ji were there in this film. Many scenes Meena ji was behind the mask and some double must have danced. But the Temple dancers from Orissa were totally different as i found out while reading many articles. These women never danced outside temples. They are called MAHARI, not devdasi. Two major class of Mahari was there, Bhitar Gauni and Baher Gauni. First was allowed to enter Garbh Griha, the sanctum of Temple and second class did seva outside the garbhgriha. it says Women of pride? Why not? They were bearer of our Arts? Traditions? Music and Dance with other attached traditions have been kept alive by such women and their families? Thus naming them just as Dancing girl is not correct? For whom they danced? Who made them to dance? They were daughters of big VIPs and most respected Men of society, Kings, Dewan, Pundits- Brahmin, Priest, Business Men, Chettiar? Seth as we call. Merchant etc and etc. Thus degrading them is not in right perspective. Dancing Girl deserve respect? Posted on March 21, 2018 April 24, 2018 Categories Ancient Indian Art, Art and Culture, Dance, Devdasi, Indian SculptorTags Archaeological site, Archaeology, Archeologist, Bronze Statue, Dancing girl, Devdasi, excavation, harappa, Indus Dance girl, Indus script, Indus Valley Civilisation, Indus Valley civilization, mohen jo daro, Mohenjo daro, Statue3 Comments on #Dance #DancingGirl, why they named it as #Indus Dance Girl? of #Harappa #IndusValley #civilization? 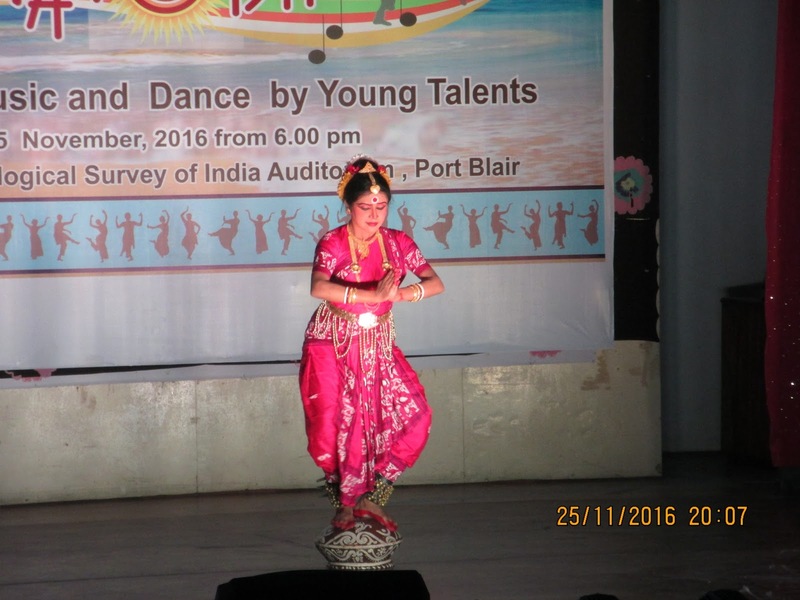 This i had written after watching Festival of Tribal Dance, conceived by most renowned Theatre personality Ratan Thiyam. I had been his admirer since many years. At kanpur i used to get news about him through Doordarshan or News Papers. When i was in Delhi then he had shifted in Manipur. But when i heard the news that Festival is going to happen in Port Blair immediately i rushed to get a life time opportunity to see him live. Luckily i got seat just behind him. This concept of festival may be old but i got to know very recently. A good concept to combine the Song Dance and Theatre all together at one platform for Tribal communities to come and perform. All this happened under ageis of NSD National School of Drama. In sidelines of this performances a workshop or seminar kind of thing was also there. Where various research workers and Tribal groups also interacted and presented their analysis etc. I was none of them but being an ardent lover of Arts- Dance i was attracted to this.